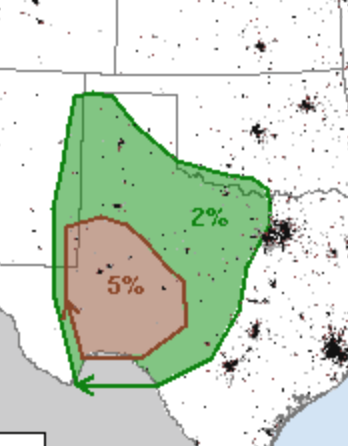 There is a chance of tornadoes in southwest Texas later today. The brown (5%) area is where there is a significant risk. Please keep an eye out on the weather in this region.